Box 4 Fitness, Hebden Bridge Boxing Club: High Intensity Training...the fastest way to get fit? High Intensity Training...the fastest way to get fit? I've been busy recently, getting myself ready for Total Warrior which is just 3 weeks away. My blog ideas have been backing up so I'm going to unleash them now whilst I have a spare hour, lest they disappear forever, to the back of my brain. 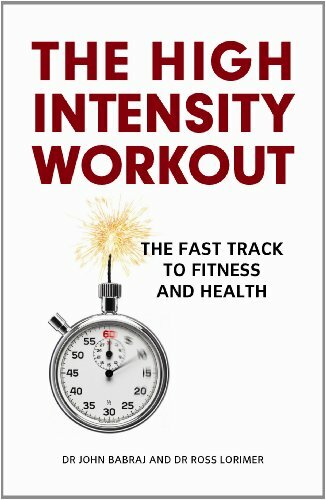 First thing to talk about is High Intensity Interval Training. As I struggle to run for anything over 30 minutes without paying the price in back pain, I'm using the science of Drs Babraj and Lorimer to get fit enough to cover the 10km assault course. I hope that after the event, my physio will pick up the pieces and stick me back together again and off I'll go to Tough Mudder in September. Brief periods of repeated bursts of all-out exercise inter-spaced by longer periods of recovery. The intensity of the training can be controlled by the duration of the sprint, the gradient of the hill or the number of sets performed. In my case, I'm using a hill with a steep gradient, I started off week 1 with a 6 sec sprint and 30 sec rest, 10 times - repeated 3 times in a week. This week, I've upped it to 18 sec sprint and 2 min rest, again 10 times per session, 3 sprint sessions a week. Next week I'm aiming for 30 sec sprint and 4 min rest, 10 times and then I'm going to compare the results before reviewing the plan. Much research has been done by sports scientists and others that suggests that just 15 minutes of high intensity training, 3 times a week can drastically improve your fitness level, increase your lower body strength, increase your insulin sensitivity by 25% and reduce your body fat by 8%. Week 3 starts Monday so I'll keep you updated on the progress. I'm going to give this a try - but maybe on a slope as opposed to a hill to start off with!